During this giving season, why not give back to the community of global genealogy lovers who quietly and continually enrich our family history research? 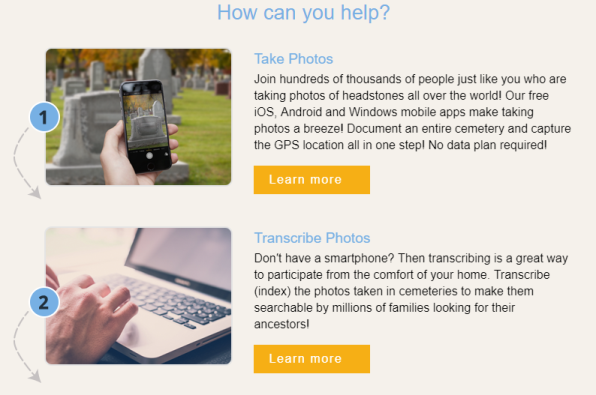 Here are 4 ways to pay it forward in genealogy from the comfort of wherever you are! One gem you may not have heard of: the British Library’s project to index old maps. 1. Help with global gravestone research. If you’re like me, you’ve probably discovered the final resting places of many an ancestor–perhaps along with important biographical data and even additional relatives–with the help of websites such as BillionGraves and Find A Grave. BillionGraves says it’s “the world′s largest resource for searchable GPS cemetery data, and is growing bigger and better every day.” Its volunteers take GPS-tagged pictures of headstones in cemeteries around the world and transcribe them for their free searchable database. Image headstones: download the free app to your smartphone from the App Store or Google Play. Take images of headstones in cemeteries you visit, whether it’s your own ancestor’s burial place or a local graveyard. Transcribe personal information found on gravestone images. You can transcribe the images you take or you can visit the site and transcribe images that someone else has uploaded. Click here to get started. Upload additional source documentation to BillionGraves tombstone images, such as obituaries, cemetery records, and the like. You’ll make these virtual gravestone sites even more genealogically valuable! Click here to learn more. Find A Grave has a slightly different model for collecting global gravestone data. Here you can create free memorial pages for ancestors, which “generally include birth, death, and burial information and may include pictures, biographies, family information, and more.” You can also upload your own headstone images and transcribe them (or someone else’s images), and you can even upload a spreadsheet of cemetery burials you may have already transcribed. 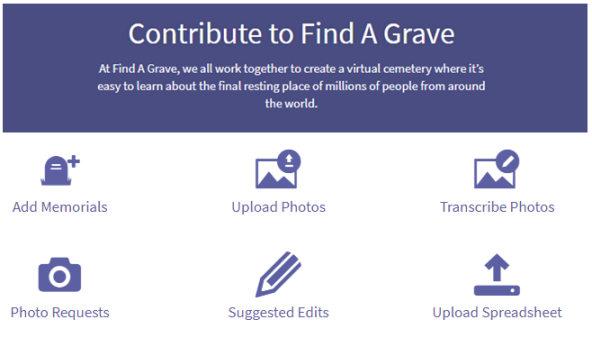 Find A Grave has recently updated its site to make it more secure, faster, easier to use, and accessible to new devices and other languages. More than 100 million graves from over half a million cemeteries worldwide are already searchable at the site. To get started, download the Find A Grave app at Google Play or the App Store, or just visit the website. 2. Transcribe old documents and maps. 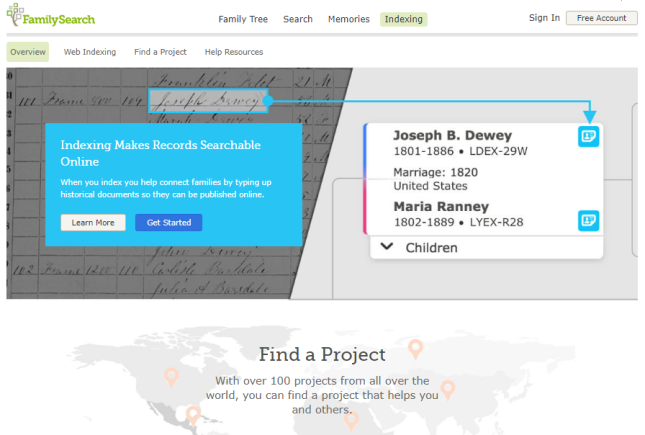 FamilySearch Indexing. Thousands of you have likely participated in this best-known volunteer record transcription project out there. (We blogged about it recently in honor of their worldwide weekend indexing event.) Their indexing platform recently became fully cloud-based, so you can index more easily on your computer or mobile device. Volunteers are especially needed right now who can read Spanish, French, German, Italian, Portuguese, Russian, Japanese, Polish, Swedish, and Dutch. British Library Georeferencing Project. The British Library is recruiting volunteers to help geo-reference thousands of old maps that are already online. Geo-referencing, or geotagging, means assigning geographic reference points (longitude, latitude) to points on a map image. Doing this with old maps allows them to be linked to their modern-day locations, allowing us to compare the past and present (as Lisa teaches about in her free Google Earth video class). Over 8,000 maps have already been “placed” by participants (and subsequently checked for accuracy and approved by their panel of expert reviewers). The latest phase of the project includes 50,000 maps, mostly 19th-century maps from books published in Europe. The British Library says that “some places have changed significantly or disappeared completely,” increasing both the intriguing challenges for volunteers and the value to those who will benefit from their map sleuthing skills. 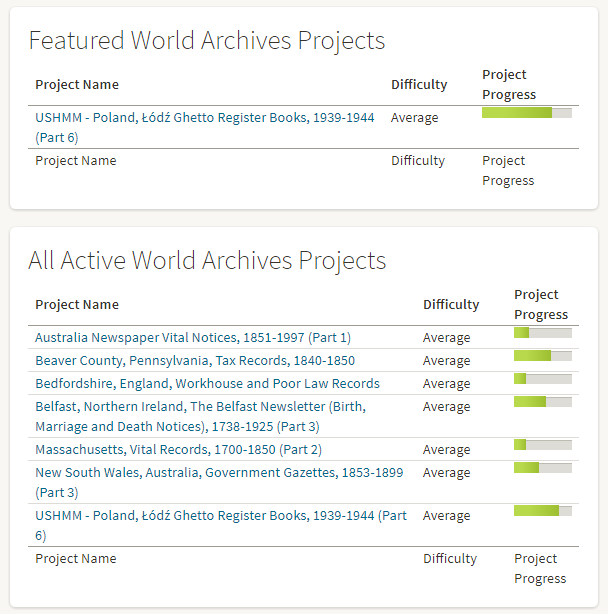 Ancestry World Archives Project. “The Ancestry World Archives Project is thousands of volunteers from around the world with a passion for genealogy and a desire to help others discover their roots,” says the project home page. “And all it takes is a computer, some basic software we provide and a little of your time.” Even though Ancestry.com itself is a subscription website, any records indexed through the Ancestry World Archives Project remain free to search on the site. National Archives Citizen Archivist Program. “A Citizen Archivist is a virtual volunteer that helps the U.S. National Archives increase the online access to their historical records,” reports Melissa Barker in a recent blog post. “This is done by crowdsourcing metadata about their records through tagging, transcribing, and adding comments to the U.S. National Archives catalog.” Click here to read the full article and get started. 3. Reunite heirlooms with long-lost relatives. Probably millions of “lost” family items are out there: in flea markets, second-hand shops, online auction listings, perhaps even your own closets or attics. Genealogy Gems has reported many times in the past about genealogy heroes who claim these “orphaned heirlooms” just long enough to research and contact living relatives who would love to find them. 4. 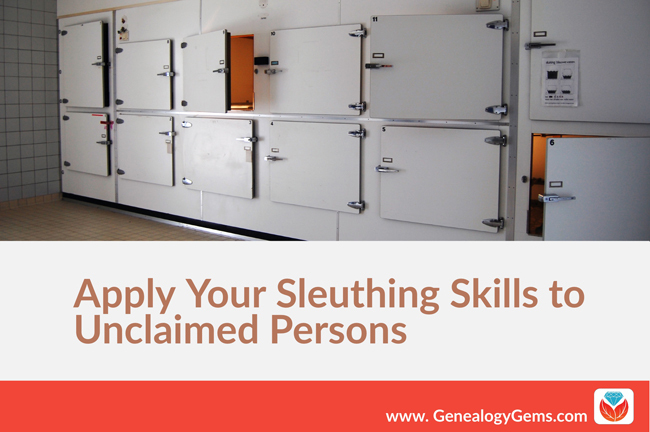 Solve “unclaimed persons” mysteries. Lacey is the one who introduced us to the Unclaimed Persons project earlier this year. With Unclaimed Persons, an online community of volunteer researchers joins forces with medical examiners, forensic investigators, and coroners to help reunite families and bring closure so that the dead can finally be laid to rest. Click here to read more about that effort. How will you pay it forward in genealogy? Click on one of the opportunities above–or tell us about one you’ve tried–to give back to your genealogy community this season. This largely-invisible community is all around us and enriches all our efforts, from late-night research sessions by ourselves (in records indexed by volunteers!) to local societies who host classes that inspire us or who answer our obituary inquiries and Facebook posts about their locales. If you are already one of those volunteers, THANK YOU. You are a gem and we here at Genealogy Gems are grateful for you. P.S. You can also “pay it forward” by sharing free content like this from our website with your genealogy friends and society members. Why not link to this post on social media or in an email and challenge those you know to do good in the genealogy world? 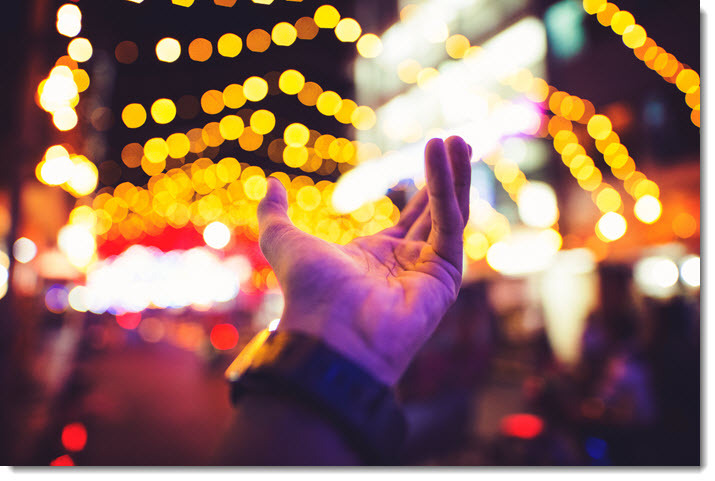 Thank you for sharing these ways for giving back. All of them are great but I especially like finding a grave. As I have visited graves myself I have been able to get much needed clues which I have then used to get further records on my ancestors. The Find A Grave website is a most valuable resource. It will be great when all graves from all cemeteries have been photographed. But sadly that will not be the case as there will be some which have fallen into ruin. I also feel it is important to give back to the genealogy world. After researching my family history for a number of years I have had help along the way and I have greatly appreciate this help. That is why I have created my own genealogy site where I can guide people along their own family history journey. Loved reading the above article. Just wanted to let you know that we ( Tammy Kwasinski Loerke, Jeff Gonyea and I, run a group on Facebook, called “Family Treasures Found”. Where we strive through research and the help of our group members, for all the ancestral photos, and documents that we have rescued, to return them to their descendants at no charge. Hi Owain and Andrea, Thank you both for your comments–and for the ways you both give back! Owain, we like Find A Grave, too. You’re absolutely right that the images and transcriptions of gravestones help preserve information that will deteriorate over time on the original stones. Andrea, Thanks for creating and sharing the Facebook group, Family Treasures Found. For those who are interested, you can find it at https://www.facebook.com/groups/1419339481432739/. The group has nearly 2500 members already and looks like a great little niche community!